Here's where to watch every episode of Grand Designs season 10. Mouseover or tap an episode to see where to stream it. Click or tap the play icon to stream it on the best available service. Isle of Wight: The Tree House Sep 15, 2010 Kevin McCloud follows the progress of architectural designer Lincoln Miles and his wife, artist Lisa Traxler, who want to create their own home on the Isle of Wight. They have bought a property on a prime piece of land and set out to transform it into a creative structure that complements the unspoilt woodland setting. Stowmarket: The Tudor Guildhall Oct 6, 2010 Kevin McCloud follows the progress of Simon Bennett and his wife Jill as they try to restore two timber-framed barns in Suffolk. 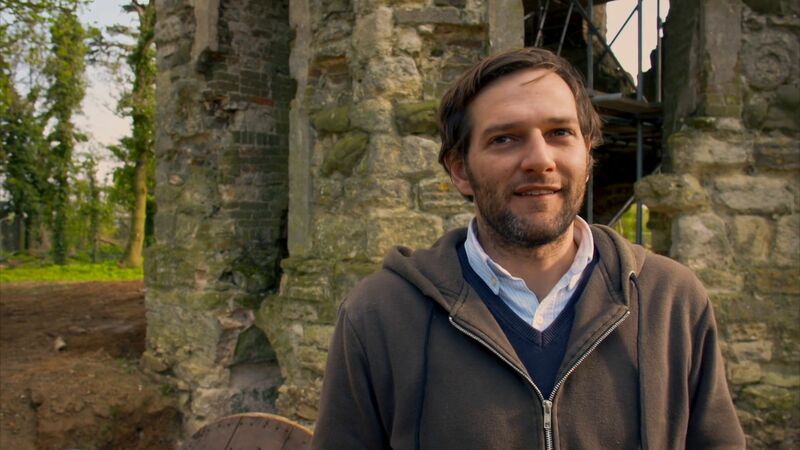 The couple found out that one of the buildings is among the smallest surviving medieval guildhalls in the country, and while Kevin advises the pair to conserve it in its present state, Simon is determined to restore it to its former glory. Ipswich: The Radian House Oct 13, 2010 Jonathan and Lindsay want to build a house that's exciting to look at, cheap to run, and ecologically sound. But the build is a battle, with technologies that don't work and a tight budget. Lizard Peninsular: The Scandinavian House Oct 20, 2010 Kevin meets interior designer Kathryn Tyler, who has decided the best way onto the property ladder is to design and build her own house in her parents' back garden in Falmouth. West Cumbria: The Adaptahaus Oct 27, 2010 Alan Dawson has invented his own way of making a house, with every piece put together on site in days. But it must all fit perfectly. Only then will Alan know if his unique house works. Lake District: The Dome House Nov 3, 2010 When Robert and Milla Gaukroger find a plot overlooking Lake Windermere in the Lake District National Park, they reckon they've hit gold. Revisited - Lake District: The Dome House Nov 2, 2011 Kevin revisits Robert and Milla a year after their ambitious Lake District eco home seemed on the verge of running out of money. Have the couple completed their visionary timber home? Revisited - West Cumbria: The Adaptahaus Nov 23, 2011 Kevin McCloud revisits Alan and Judith Dawson in west Cumbria, where they began constructing a prefabricated home in 2009. They employed a method of building that should have allowed them to assemble the home in just 15 days on a budget of £300,000, and the presenter returns to find out whether they were successful. Revisited - Isle of Wight: The Tree House Nov 14, 2012 Kevin catches up with Lincoln Miles and his wife, artist Lisa Traxler, who had discovered an uninspiring 70s bungalow on the Isle of Wight on a prime piece of land surrounded by unspoilt ancient woodland and were going to convert it into their dream home. Revisited: Woodbridge: The Modest Home Nov 13, 2013 Six years ago Lucie Fairweather and Nat McBride began to build an affordable eco home in Woodbridge for themselves and their two young children. However, their journey was to be about more than bricks and mortar. Just before they got started, Nat discovered he had cancer, and after just a few months he passed away.Lucie decided to carry on with the project Nat had devised.Kevin McCloud returns to find out just how life has moved on for Lucie and to discover whether her wonderful and striking house has become part of the landscape.